While looking and another allegorical theme to paint in segments as has been the case over the last couple of years, there was a portion of my earlier painting, Holiday in the Sun, that I felt like revisiting. The source image I have of some red-orange peppers I thought made an interesting contrast against some green colored peppers. 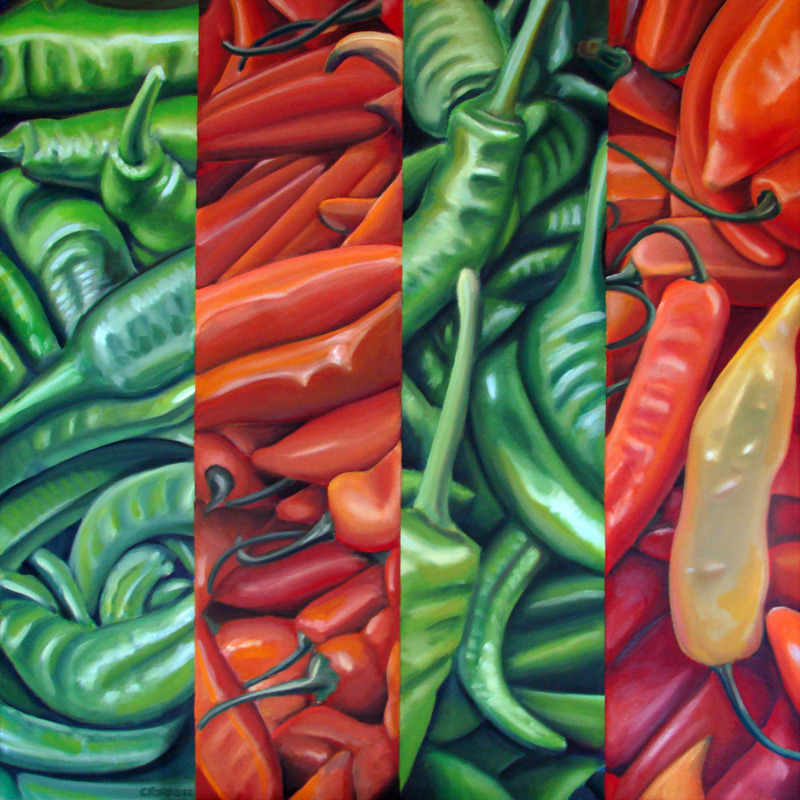 The orange peppers come across as more red in the photo of the painting; there is a fine line between reds and oranges but the majority of those non-green shapes are of an orange cast. Either way, I like the bending and curved shapes pushed up against one another.